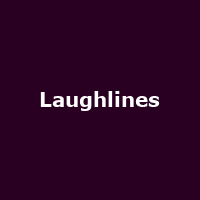 Laughlines is a dinner comedy night founded in 1997. "Laughlines is the 'Best of British Comedy Dinner Show' live theatre dining experiences have travelled all over the world. Laughlines aim is to celebrate the UK's most nostalgic British sitcom shows by way of a fun, interactive, hilarious and enjoyable, comedic parody dining theatre performance with your favourite sitcom characters."